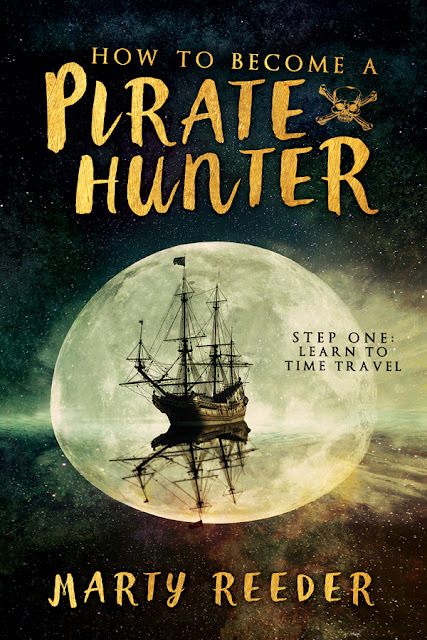 It is with great delight, and only a teeny bit of trepidation, that I can announce the book release of my young adult novel How to Become a Pirate Hunter--due in local bookstores (those that still exist!) and on-line bookstores in March. The story follows the adventures of teenager Eric Francis, who feels fairly useless until he runs into the new girl in school, Charlotte Reeves, someone with not only the power to see other people's natural born abilities but also the capacity to take them to the time and place where they can experience that ability. Pirate hunting and unforeseeable challenges ensue. Below is the cover. Kudos to Cedar Fort Publishing for fantastic cover design ... and taking a chance on a finicky author. I hope to have some fun activities associated with the book release and beyond, including press releases from the book's setting on the website, hashtag games on social media, complimentary copy giveaways, a bonus chapter, a weekly reading and podcast over the summer, and (this is the one I'm most stoked about) a secret treasure hunt with clues found in the book and extra materials. To stay up-to-date on the book's developments and related activities, apply to be a Pirate Hunter by filling out this form. Share this with other people who might be interested, and then sharpen your cutlasses and batten down the hatches, mates! March is just around the corner.